Hi everyone! Today I have another post over at the ThinkCrafts blog for CreateForLess! 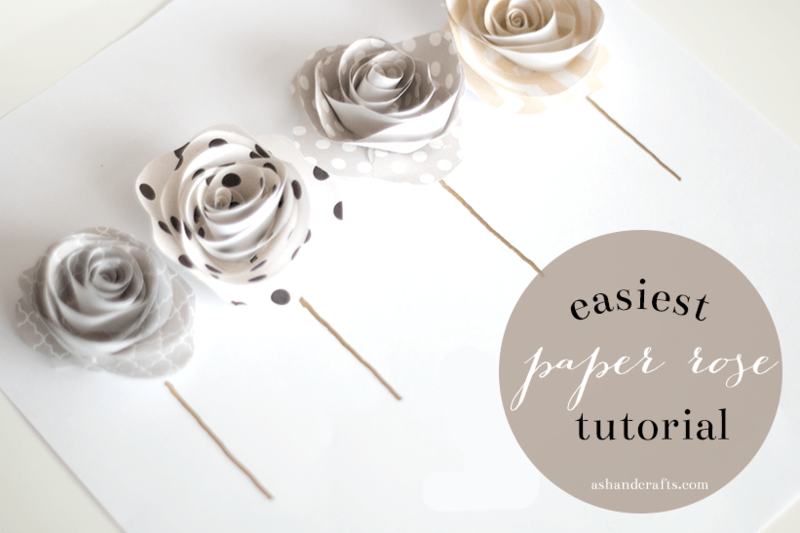 This one is a very easy paper rosette. I think this is the easiest paper rose I know how to make. I love making paper flowers that can be cut freehand with no patterns and this one is definitely one of them! All you need is some glue, scissors and fun paper! You could even try this out with regular copy paper first, if you want to get the hang of it before using your special paper. These are the flowers I used as filler flowers for my Springtime in Paris contest entry, because they’re quick and easy to make. It’s very useful to learn how to make these rosettes because you can use them in a variety of ways. Make a small one and attach it to a barrette for a cute hair clip! Use one as a cute gift wrapping topper! Or even make an entire paper wreath out of these roses. I bet that would be really pretty! To find out how to make these super easy paper roses, head over to the ThinkCrafts blog for full instructions! So adorable. I can’t wait to try this. I’m going to put this on my crafty bucket list! Thanks Hannah! They’re really easy to make! They are beautiful as always! Putting them inside a shadow box, really brings out the 3-D in them and enhances everything. Thank you so much for always stopping by my site! I really like how they look in the shadow box too! Once you get the hang of it, you can make them very quickly! 🙂 Thanks so much! Beautiful and sweet! 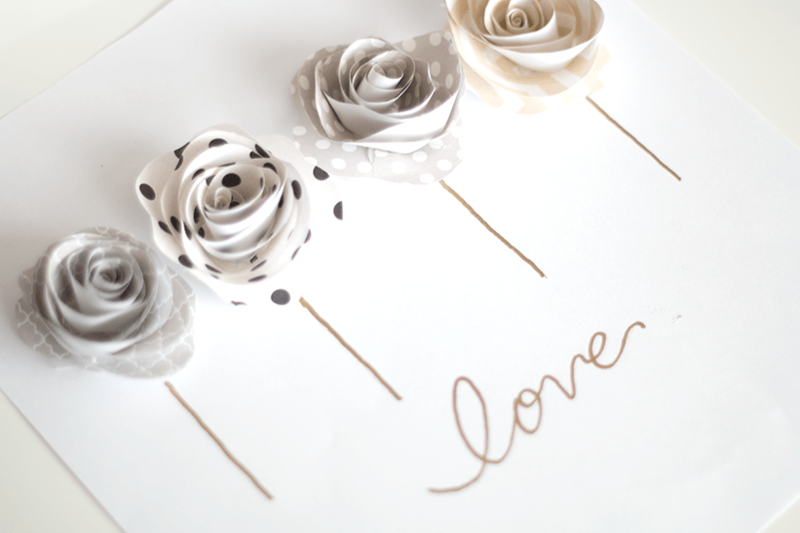 I love paper roses. 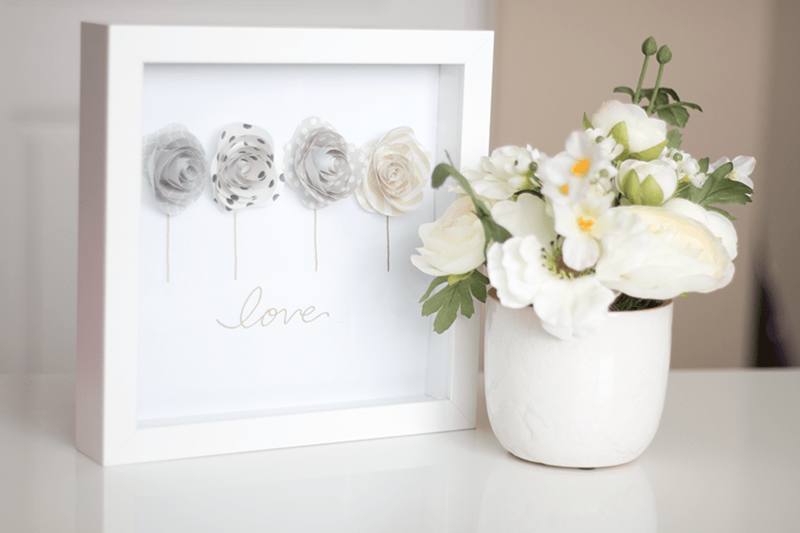 I have been thinking of ideas for the craft room to add some simple artworks to it and your project is perfect. Thanks so much Rachel! Yes, they’re super easy to make! Thanks so much Zan! They are very easy! You should give it a try!